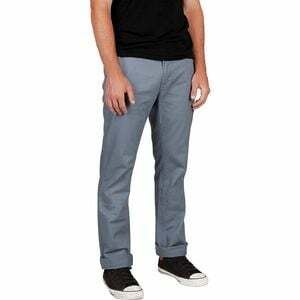 Product Condition: The Reserve Chino Pant - Men's is in Excellent condition. These pants were owned for 19 days-unused. there are no hole or rips in the material. The fabric is not stained or faded from use. The product is in an excellent condition as new. All items sold as is, all warranties void. Keep it classic with the timeless appeal of the Brixton Men's Reserve Chino Pant. This straight-leg chino strikes a nice balance between comfort and mobility with its cotton-polyester blend with 1% stretch.